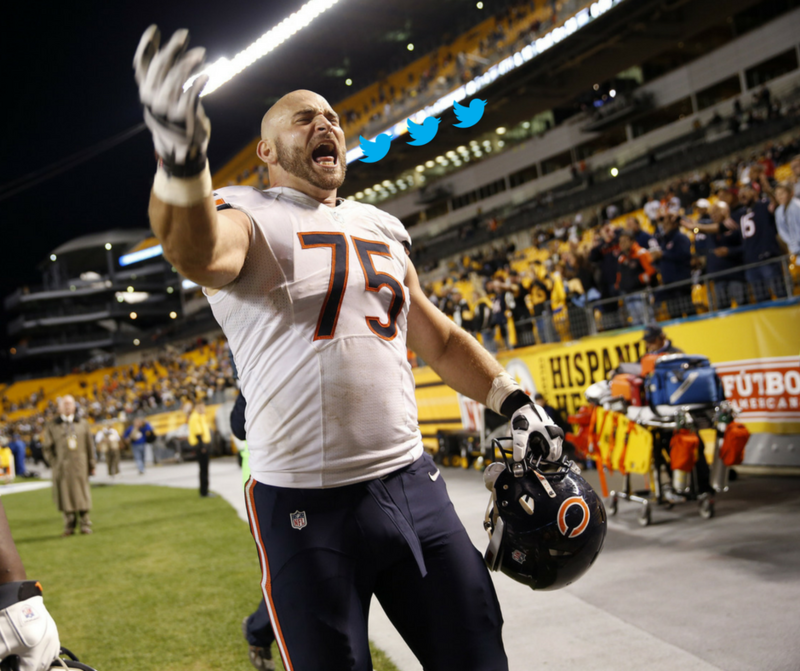 It appears that Kyle Long is ready to take that next step in his career and become a leader of the Chicago Bears. This is something I’ve been hoping would happen for quite some time now. Not that Long wasn’t a leader already. He plays with fiery passion and with his heart on his sleeve. Remember when he injured his ankle and had to get carted off the field? Long emotionally banged on the cart, firing up his teammates. Even though the ensuing play was a Jay Cutler fumble, Long did his part. Despite being severely injured, Long put his pain aside and set his focus on the greater good of his team. That’s how a true leader acts in a moment of crisis. Long is ready to elevate his leadership. I couldn’t help but get fired up when I was reading the string of tweets Long sent out on Friday. I have allowed a 3-13 culture to creep into the locker room. I'm sorry for that. I will alongside other senior leaders see success through. I need to step up, take my responsibilities seriously – and mentor the younger team members to expedite the learning curve. I don't think I've ever said that in those words. But I'm done sweeping it under the rug. If my team is reading this, they know what I mean. This is how a leader sounds. Obviously Long is ready to evolve the culture inside of Halas Hall, and this should fire up Bears fans. For far too long now, the Bears have been lacking leadership like this. It’s this mix of responsibility and accountability that can take this football team to the next level. Long is right, there has been a losing culture established with this ball club, and it takes someone to call out the team, say “enough is enough”, and get everybody on the same page. It’s time for the Bears to start winning. Kyle knows it. I know it. You know it. I can’t explain just how important it would be for Long to take the next step in becoming a leader of this team, and if this string of tweets is any indication, I would not be surprised one bit if Long has the “C” patch on his jersey come September. Keep inspiring Kyle. Take this team under your wing and take it to new heights.